For most of the heavy smokers, they have become addicts to high nicotine. 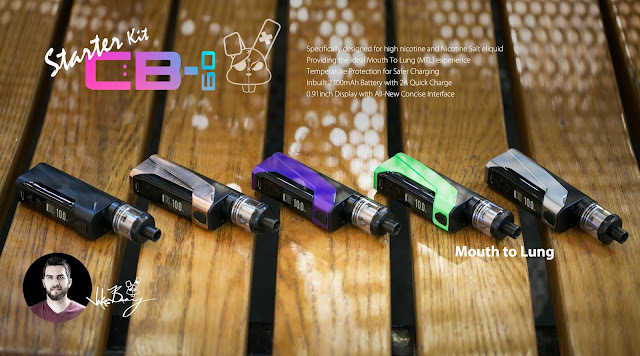 So ordinary vape can not satisfy them any more. This is also the reason why those heavy smokers can not give up smoking with the help of e-cigarettes. They may find that the taste of e-cigarettes is completely different from ordinary tobacco products and then have a bad impression on most of the vapes. Finally, they may go back to vaping. So for most of the e-cigarette companies, they need to break this bottle neck to meet the demands of those heavy smokers. They are the potential customers. This time, Wismec, trying its best, applied new technology to solve the problem, providing smokers with the best vaping experience. The Wismec CB-60 full kit is really a solution to this difficult problem. Wismec CB-60 is the first vape containing high concentration of nicotine, attempting to offer the most enchanting flavor which is similar to ordinary tobacco products. It is predicated that this newly-released vape is going to hit the market and It also can be seen as a milestone in the vape industry. In conclusion, the vape industry never lacks of innovation. Besides, where there is a challenge, there is an opportunity. So keep you eyes open and follow our blogger, we will introduce you the most latest news about the vape industry.